If Godzilla ever returns, and if he, like anyone, enjoys a good game of Jenga, I now know where he'll spend a good amount of time. At first glance, it may look like an impressively high stack of dangerously placed front load washing machines. 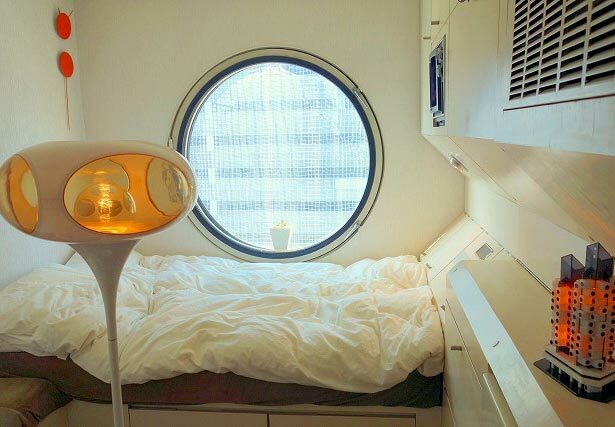 What it is, in fact, is the concept of Japan's famous capsule hotels taken to its logical extreme: an entire apartment building made of nothing but capsules. 140 of them, in fact. With only a few questions, we were able to learn that this structure has two core pillars, and the 140 capsules were attached to them from bottom to top. 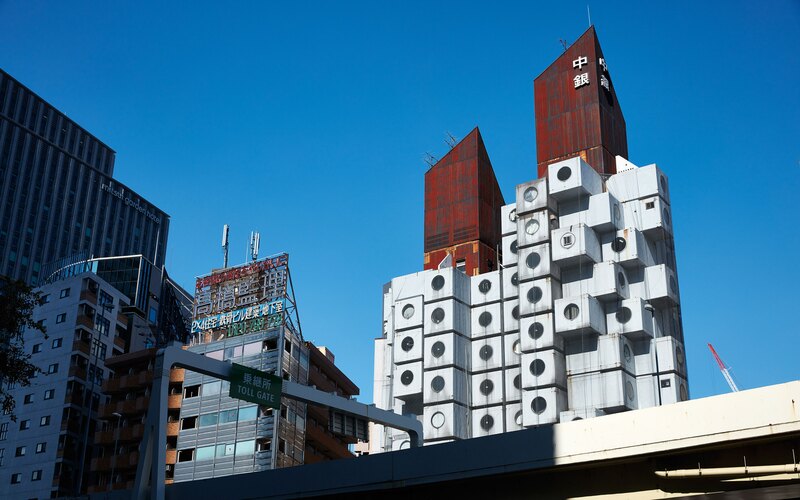 This laundromat-looking building is called Nakagin Capsule Tower, it is located in Ginza, Tokyo, and, sadly, it is a long-standing landmark whose future might be in jeopardy. Luckily, there is a group of determined people working to save it. 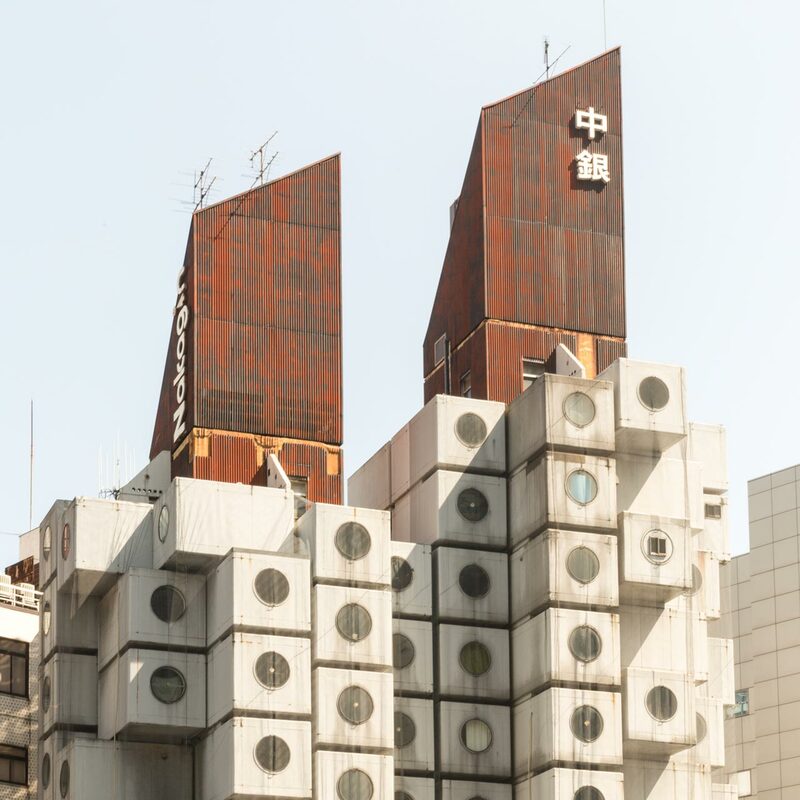 But first, some history: the Nakagin Capsule Tower was designed by Kurokawa Kishō (黒川 紀章), a leading Japanese architect and one of the founders of the post–war Metabolist Movement, based on the idea that people are supposed to keep traveling and not settle down. Kurokawa wanted each capsule to be removable, thereby allowing the "old" to be replaced with the "new." In addition, and with the same ideals in mind, Kurokawa wanted to give the capsules mobility. The concept sounds like Dragon Ball's "Hoi-Poi Capsules," but sadly, neither of the ideas were realized. Nakagin Capsule Tower has been there as is since its completion in 1972, and the building has become pretty worn by time, which is precisely what Kurokawa originally wished to prevent. While its future is a bit unclear at present, one thing is certain: if Godzilla ever returns, and if he, like anyone, enjoys a good game of Jenga, I now know where he'll spend a good amount of time. Although this unique piece of architecture is a rare remnant of Japanese Metabolism, it was once on the verge of being torn down. The location is prime—the land value in Ginza is the highest in Japan, with the average price of one square meter being ￥21,560,000 in 2017—so some of the owners (ownership is shared on a per-capsule basis) had plans to turn this building into something more valuable. In fact, in 2007, it was decided that the tower would be demolished, but the plan was cancelled thanks to the economic downturn precipitated by the Lehman Brothers bankruptcy in 2008. Since that time, fans of Nakagin got together and eventually started a group named Nakagin Capsule Tower Preserve・Restoration Project. 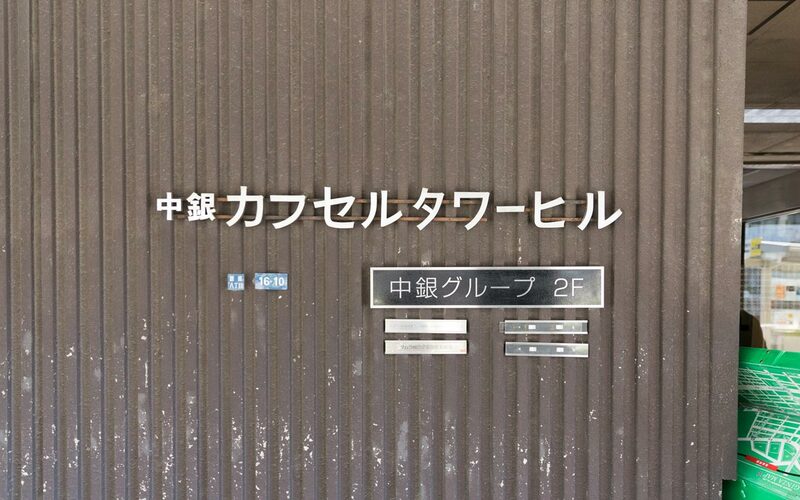 Luckily, we were able to get in touch with its representative, Maeda Tatsuyuki (前田達之), and he let us in to see one of the capsules he owns (this is an actual apartment building, so it's not open to the public). He was so nice that he came to our interview during his lunch break. We hope he wasn't too hungry at work afterwards. According to Maeda, the project began about two years before our visit in March 2016. They thought it was important to, in various ways, gather a fanbase for the Nakagin Capsule Tower in order to save it. For example, though the apartment isn't open to the public, they offer tours every once in a while. Also, back in 2015, they crowdfunded a picture book called 銀座の白い箱舟 (Ginza's White Ark), which introduced the tower and its residents. After our visit, they did a photo shoot with models in some of the capsules, and held an exhibition called "Capsule Girl" in the summer of 2016. The project also created Capsule Bank, a system which matches people who are interested in buying a capsule with those who want to sell them, setting up appointments via letters or emails. At the time, there were about thirty-five people in the bank awaiting capsule availability. What's more, since this is a very unique building, ICOMOS visited here in 2015 and recognized the tower's value—even hinting at the possibility of making it an actual World Heritage Site. It would be very cool if that actually happened. A renovation project is also currently underway. Of the 140 capsules, about eighty are currently in use (as of March 2016); the rest are to be renovated to improve the value of the building. As expected, many of the people who want to save this place are those who are fond of buildings in general, like architects and interior designers. They are the ones leading the repairs on some of the capsules that had been out of use, opening them up to everyone. "We've been working on any feasible idea we have that can help to preserve this building," said Maeda. "In Japan, in order to rebuild a shared-ownership building, 80% or more of the owners' approval is required. Now, it would be difficult to get that many to jump on board, so I don't think we would ever go back to decide whether to rebuild or not." "Having said that, the approval of at least half the owners is needed to repair the building, and we don't have that many on our side yet. We are sort of stuck halfway between. At the moment, there is much indecision, so we'd like to increase the number of owners on our side." It seemed that things are favorably shifting towards Maeda's group, but there are still some challenges to overcome. I'm not sure how things will work out in the end, but hopefully they can find a way. The inside of each capsule was designed by Japanese architect Abe Nobuo (信夫阿部), a big fan of sailing. After chatting with Maeda in an outdoor common space, we headed to one of his capsules on the ninth floor. He became owner of his first capsule back in 2010, gradually buying more over the years. When we interviewed him, he had thirteen. Of course, he uses some of the rooms himself, but the others were rented out, or left open to be used as common areas. When we opened the door, we found a cute, little room in front of us. It was tight for five adults with cameras and gear, but it was much more spacious than we thought it would be, and there was quite a bit of storage space, too. The inside of each capsule was designed by Japanese architect Abe Nobuo (信夫阿部), a big fan of sailing. 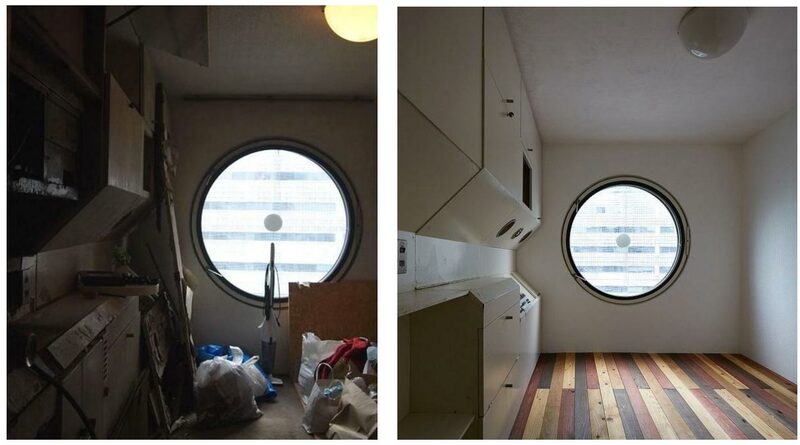 He got this very minimalist room design idea from his sailing boat cabin, where space is also very limited. In another interview, Abe said he doesn't view sailboats as vehicles, but like clothing, so he doesn't think much about space; if he fits inside then "it fits," so to speak. Instead, his main concern is which functions he wants to be accessible, not thinking about whether the space is too small or not. Apparently, the contractor who built the interior was a company that usually works on ships and airplanes. Just a quick anecdote: in the original rooms, Abe designed the beds to come with a chair attached to them, and Kurokawa hated the idea because it made it difficult to make the beds. But, it was too late because the chairs were already made. "The capsules all face in different directions, but the structure is all the same. They are made of iron plates, the area of the rooms is approximately ten square meters, and the ceiling height is slightly over two meters. 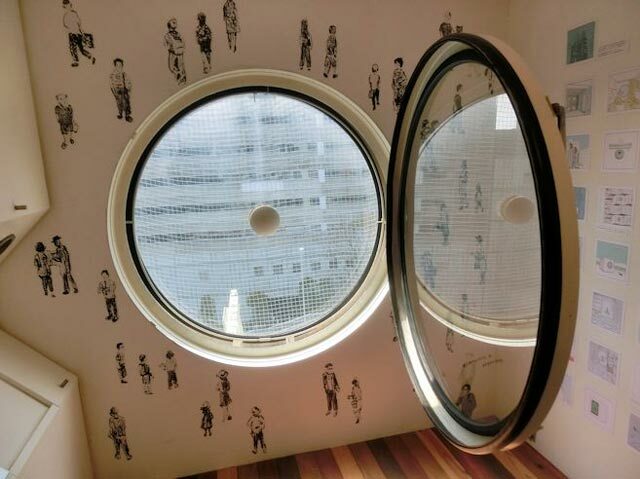 There is a bathroom in each space as well, so the living area is actually slightly smaller," Maeda explained, while also pointing out some possible drawbacks of the capsules. "Since they're made of iron, they rust and erode over time, and it's problematic as water can seep in if the iron cracks. The ceilings are made of gypsum board and the insulation between them is asbestos. As we all know, if the asbestos is exposed somewhere, that particular area can become dangerous to live in." "There are areas that already have exposed asbestos, so some people say that this is a dangerous building and that this was actually the reason for the demolition decision back in 2007. However, most rooms don't have any exposed asbestos, and they are totally safe." Although it was said that it would have been difficult to deal with the asbestos insulation in each capsule, the project came up with a plan enclose it using flexible ducts. In fact, the plan was successfully carried out in one of the capsules on the tenth floor of building B in November 2016. Maeda also told us what life in a capsule is like and how some people have thrived in them. 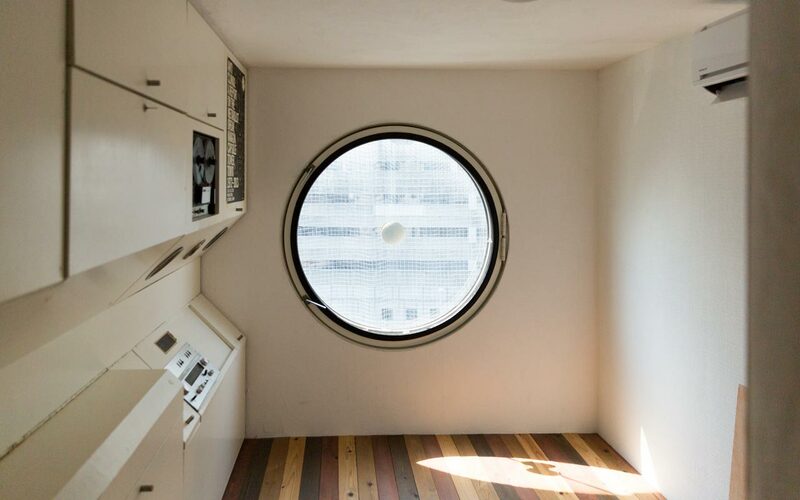 "Although there is a growing number of young residents in their late twenties to early thirties (who are single), this capsule tower was originally made for businessmen, specifically those who worked late and needed a place to sleep afterwards. Thus, the capsules only have bathrooms and no kitchens, but some of the new owners installed small kitchens later." The uniquely rounded windows consist of two panes of glass, and only the inside one opens. Maeda thinks this makes the rooms very airtight, and it's good for soundproofing and insulation as there is a layer of air in between the panes when the windows are closed. Because it gets so quiet, he thinks it's a great environment to focus in. He told us that some newspaper reporters own capsules, and they often come here to write, edit, or design articles. some newspaper reporters own capsules and they often come here to write, edit, or design articles. Maeda, recalling the time he stayed here, said it was very quiet and comfortable for sleeping, though he prefers a carpeted capsule floor to a hardwood one. 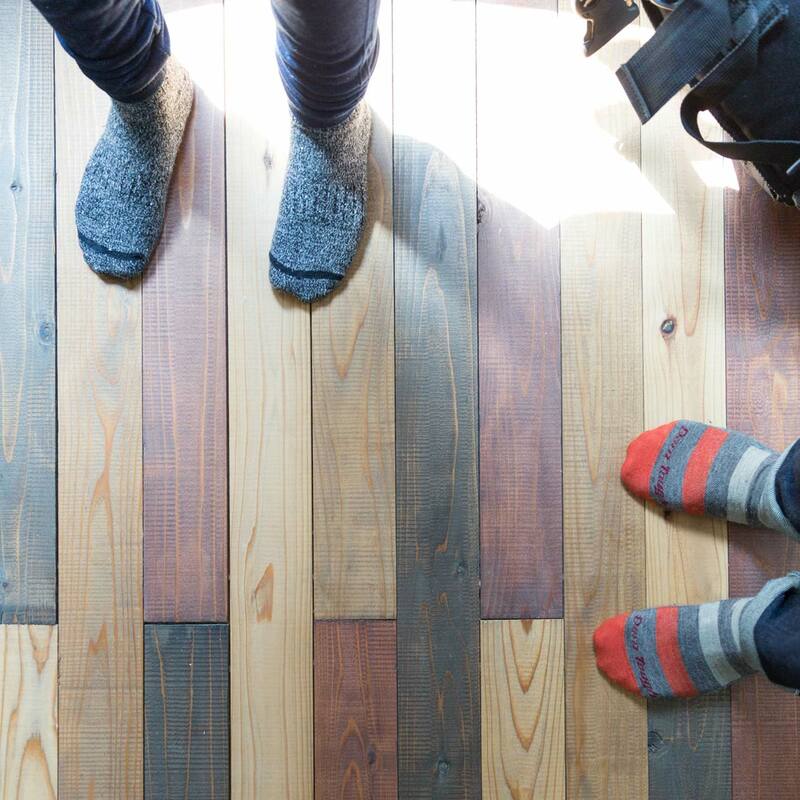 Each capsule has different kinds of floors now: some are laminate, some are hardwood or carpeted, and there are even ones with tatami mats. Apparently, some elderly residents use the capsules as music rooms, but he is yet to overhear any music. Each capsule is like floating in the air—only one wall is attached to the pillar, meaning no capsule is attached to another, which likely helps quite a bit with noise. 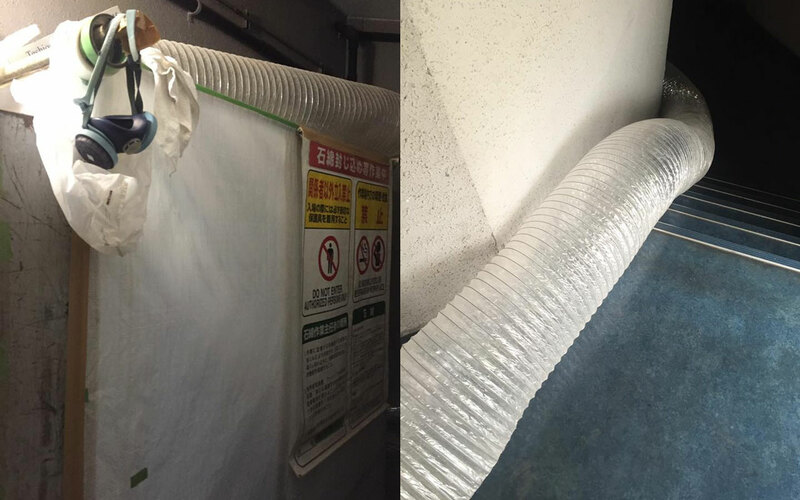 Because of the airtightness, if there was no AC in the summer, it could get up to around 40°C (104°F) in one of these beauties, but thankfully, it seems, you can use AC (and heaters) with ease. DSL internet can be used with the telephone line, but most people use pocket Wi-Fi for its higher speeds when they are here. Maeda said that basically, the people who actually live here all love this building, so they tend to become friends. They have even had parties in one capsule sometimes, which the owners call カプ飲み（　の　）, or "capsule drinking parties." After reading this article, you might feel a strong desire to stay in this building. 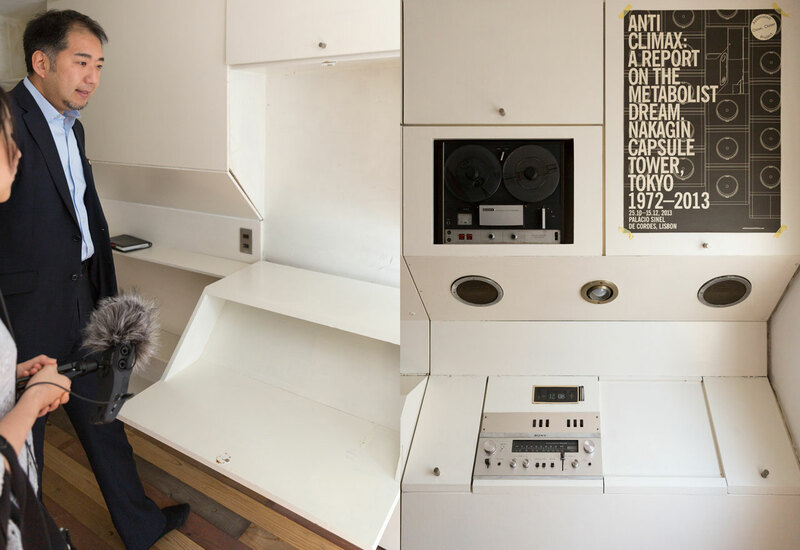 Unfortunately, as of two years ago, Airbnb is banned in the tower—but you can still rent a capsule monthly. Maeda said it's around ¥60,000 per month, which is pretty reasonable in Ginza, Tokyo, given the tiny space. The group also started offering tours of Nakagin last year, in both Japanese in English, so you can be extra sure your money's going to a place you'll like. 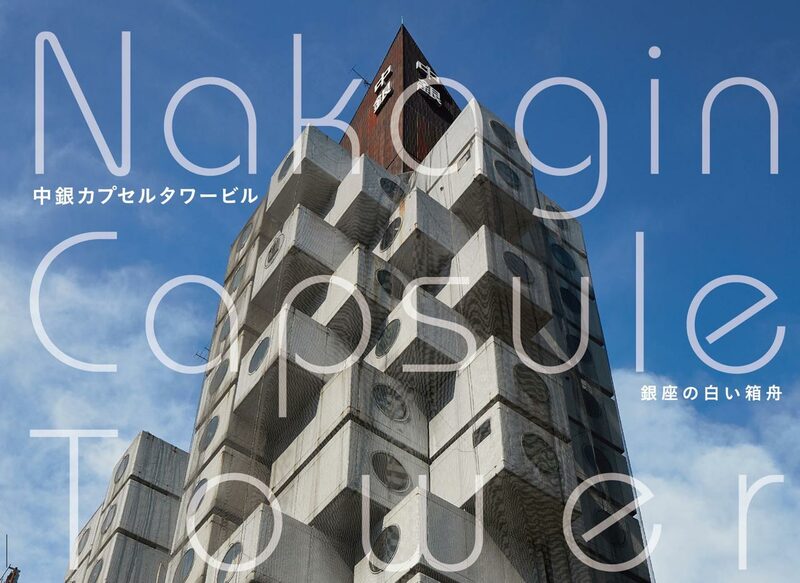 And, if you want to take your relationship with the tower one step further and help preserve it, you can purchase a Nakagin capsule even if you live overseas, so please get in touch with them if you are interested. Maeda said the price is going up, and recently purchased capsules were between ¥6–8 million depending on the condition, but the average is around ¥6 million (as of March 2016). Now, you may not have the budget for this kind of purchase (yet), but there is still one thing you can do to help save this very unique building: share this article. One big goal of Maeda and his group is to gather fans and generate good PR. 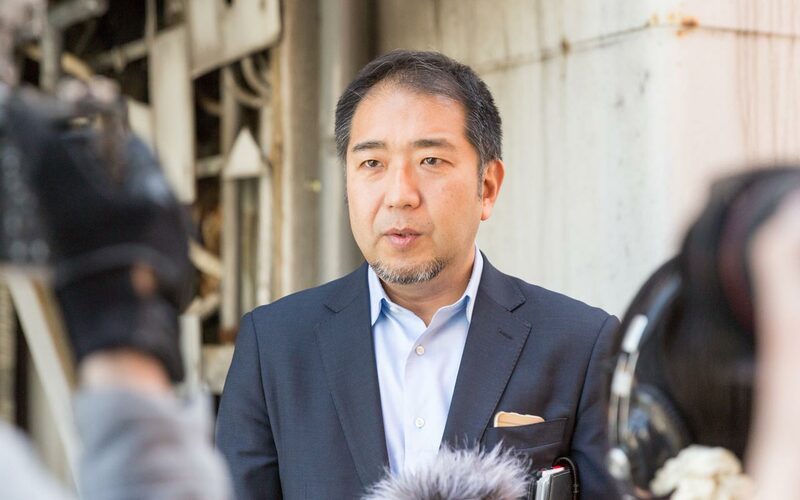 So, let people know about the tower's amazing architecture, its fascinating story, and its tight-knit community, who do everything they can to restore this historic Ginza landmark to its original glory. Very unique building. Can’t help thinking that this is a huge laundromat, though. Very cool building. The rooms are small and interesting. Sometimes felt like my childhood days in the McDonald’s ball pit (the windows give that impression). You’re not going to be able to go in unless you rent or buy a capsule. But, even from the outside it’s an architectural wonder. If there were more buildings like this, Tokyo would be a more interesting place to look at. Also, I want to buy a capsule now!